Milly's mother is a serial killer. Though Milly loves her mother, the only way to make her stop is to turn her in to the police. Milly is given a fresh start: a new identity, a home with an affluent foster family, and a spot at an exclusive private school. But Milly has secrets, and life at her new home becomes complicated. As her mother's trial looms, with Milly as the star witness, Milly starts to wonder how much of her is nature, how much of her is nurture, and whether she is doomed to turn out like her mother after all. I have heard nothing but good things about this book from thriller lovers and honestly I am so exacted to jump into this. I have been dying for a good thriller but each one that I have read so far has just missed the mark. I cannot wait to see what mystery this book holds. Thank you so much to Penguin Random House South Africa for providing me with a copy of this book! Just a small disclaimer for those reading this review. I have received this book in exchange for an honest review. Please note that this does not affect my opinion in any way. All thoughts are my own. The writing in this book is undeniably good but unfortunately it didn't seem to agree with me. The book is written in first perspective with hints of second perspective as the main character constantly refers to you. Whilst we know she is talking about her mother, you get this feeling that she is actually talking to the reader. It was incredibly interesting and something that I had never read before. There were definitely moments that I enjoyed. However, I would have preferred for the dialogue to remain dialogue instead of just becoming indirect speech occasionally. I felt that it really broke the flow of the story. The book isn't faced paced. Instead it is slow and steady. Unfolding brick by brick. There is no way to predict what will happen. I won't say anything else mainly because I believe you should go into this book not knowing much. Just know that it will be a wild ride. All of these characters were realistic and filled with flaws. They seemed like they were real people instead of just characters which just made the story all the more haunting. Overall, this book was good. It is clear to see that this book is a masterpiece however, I didn't enjoy it as much as I thought I would. 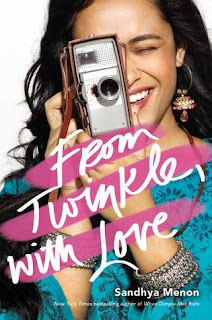 It is clear as day to see why people love this book but unfortunately the pace of the book threw me off. I wasn't addicted to the book. I didn't care what happened. I was intrigued by all means but at the end of the day this book was just not for me. 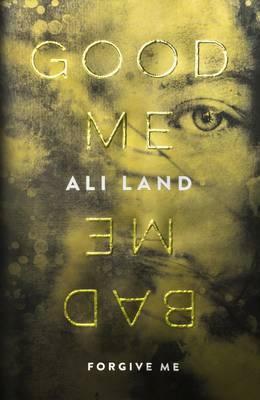 Ali Land has clearly mastered her craft and she definitely deserves all the praise she has gotten. My only regret is that I didn't enjoy the book as much as I thought I would. Thank you so much to Penguin Random House South Africa for sending me a copy of this book!